Want to bring you own boat? Book this option and we will shuttle your personal boats on the Preserve and Park Run. 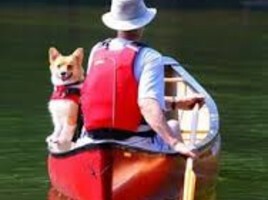 Paddles, vests and shuttling the canoe are included in the price. Please Print and fill out a release form. This will save you time at check-in. These smaller kayaks are perfect for paddles from about 50 to 100 pounds. Paddle, vest and shuttling the kayak are included in the price of the rental. Paddle, vest and shuttling the kayak are included in the price.